Dr. Sandra Salazar, up for re-election as a member of the Cerritos College Board of Trustees, didn’t grow up on the Eastside. But as a resident of Norwalk, a mother of two young children, a physician who practices family medicine and an advocate for education, she is committed to creating pathways to success for students from South East Los Angeles. Raised near Culver City and Venice, Salazar is one of two girls born to a father from Zacatecas who worked as a gardener and a mother from Guatemala who cleaned houses in Malibu. “My father passed away when I was 12, so I was raised by a single mother,” said Salazar. Eventually, she recalled, her mother saved enough to put a down payment on a small home in South Central Los Angeles. “That was really the only area where she could afford to buy in,” Salazar continued. Reluctant to take her and her little sister out of schools they were already attending, Salazar’s mother drove them to class every morning on her way to work as a domestic in the wealthy beachfront community north of Santa Monica. “I graduated from Venice High School,” Salazar said, describing the first steps in a journey that has brought her to an elected post on the Board of Trustees. Winning four years ago in the first race where candidates vied to represent specific districts—rather than running in a crowded field as at-large candidates—she is among those who oversee policy initiatives and budgets that impact approximately 21,000 students enrolled at Cerritos. In her opinion, community colleges are vital because they provide a path to better jobs and an improved quality of life for those who might not otherwise have access to higher education. A considerable percentage may not have received adequate academic preparation in middle school and high school to successfully matriculate into four-year university degree plans. According to Salazar, Cerritos offers students a second and, frequently, a last chance opportunity for intellectual growth and educational advancement that can boost their potential for success at four-year institutions. 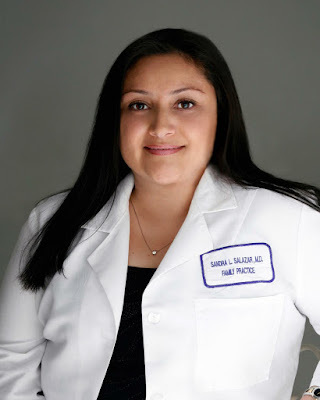 Trained at the Saint Louis University School of Medicine, Salazar received a dual undergraduate degree in Spanish and Pre-Med at Wellesley College in Massachusetts. Underwritten through a combination of need-based financial aid and work-study jobs, her undergrad experience differed drastically, she said, from her subsequent sojourn through medical school. “St. Louis University was different,” Salazar said flatly. “It was not a pleasant place. Boston was more welcoming.” When the dense medical textbooks and extensive reading assignments occasionally became so burdensome she had trouble keeping her eyes open, she would remember her mother’s efforts to provide a safe, stable and comfortable home, even if it meant she and her sister only saw her early in the morning or late at night. 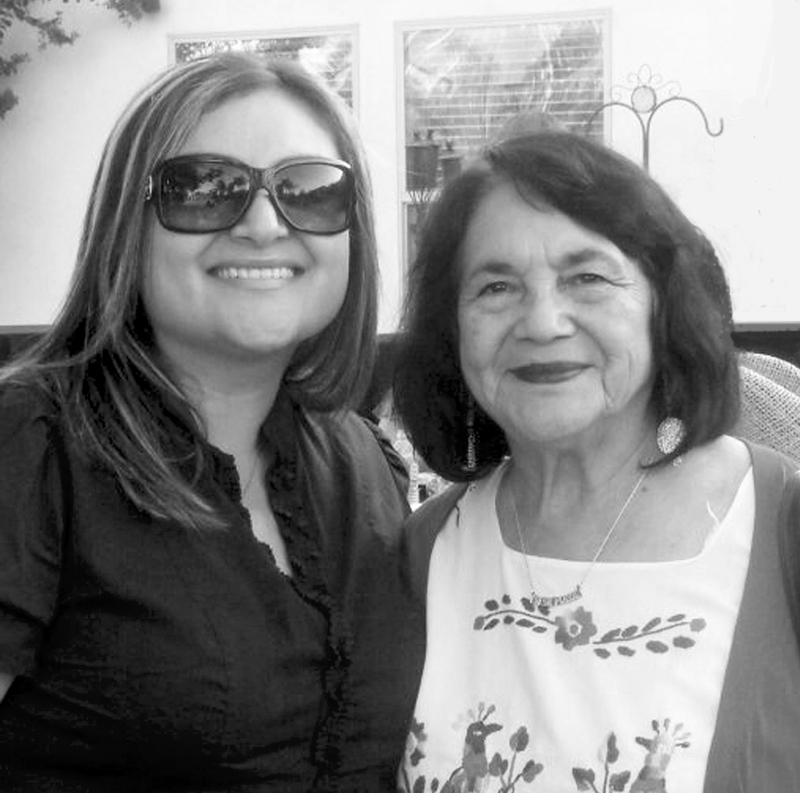 “Whenever I got discouraged or drowsy, I would remember how hard my mother worked to make sure we had everything we needed,” Salazar remarked. For her, simply recalling how much her mother sacrificed and struggled to ensure that all of the family needs were met kept her motivated and dedicated to her studies. While still a child, she became the trusted translator and interpreter for her parents, assisting them with correspondence and official documents in English. She took an interest in health sciences when, in that role, she accompanied her mother during visits to the local community clinic. “I think it was seeing my mom at the free clinic in Venice because her job didn't provide a health plan,” said Salazar about her decision to study medicine. Witnessing the difficulties her mother faced seeking care from medical practitioners who might not have been able to provide accurate diagnoses had it not been for her daughter’s unique ability to communicate in two languages, she explained, was one of the reasons she chose to become a doctor. Returning to Los Angeles, Salazar did her residency at Kaiser and met the man with whom she now shares a life and a home—in addition to the aforementioned pair of toddlers—when longtime friends invited her to a gathering at a downtown restaurant. A community activist and political campaign consultant, her partner had grown up in South East LA and had attended Cerritos College after nearly becoming another nameless individual relegated to the disproportionately high drop-out rates that continue to plague the Chicano community. There, he became one of the rare statistics, Salazar said, in the opposing column when he transferred to the University of California, Berkeley. As the incumbent, she faces two retirement-aged challengers who had run previously as a two-person slate before the court mandated single-member district system was adopted to comply with the California Voting Rights Act, said Salazar. The switch from the at-large electoral process was the result, media reports at the time suggest, of a lawsuit filed against the Cerritos Community College District by plaintiffs who argued that at-large elections were discriminatory and did not reflect the diversity of the communities served by the college or its student population, more than 66% Latino according to Salazar. “There were three of us that were part of the changing of the guard,” said Salazar with regard to her 2012 election to the Area 6 Board position. After being sworn in as a Trustee alongside two other newly elected Latina women, she was confronted, she admitted reluctantly, by a passive backlash from entrenched executive staff at the college who either ignored her requests for critical information and records or were unusually slow to respond. If successful in her re-election bid, Salazar said, she will continue to support and build on several new initiatives developed to recruit and retain students, increase transfer and certificate of completion rates, establish partnerships with labor unions and build bridges with the residents of nearby neighborhoods. Before her initial electoral victory, she explained, the prevailing view among the latter with respect to the college, was one in which the Cerritos campus loomed over them like "an ivory tower" where they were unwelcome. The irony of a "community" college being likened to an impenetrable and exclusive fortress reserved for elite outsiders by those living closest to the school is not lost upon her. “[Now] we’re running billboards on buses. We have the Pathways program. And June of this year, we had the largest graduating class, ever,” Salazar noted. Her re-election campaign, she shared with understandable excitement, was officially endorsed by legendary human rights activist and grass-roots labor union organizer Dolores Huerta, co-founder of the United Farm Workers with the iconic Cesar Chavez. Beyond the campaign to retain her seat on the Board, Salazar said she has no definite political aspirations or plans to pursue a career as an officeholder elsewhere. If re-elected, she said, she will serve out her second term to the best of her ability. As an engaged leader who has, in a short period, earned county-wide respect based on her commitment to making education accessible for all, she is, first and foremost, a mother.